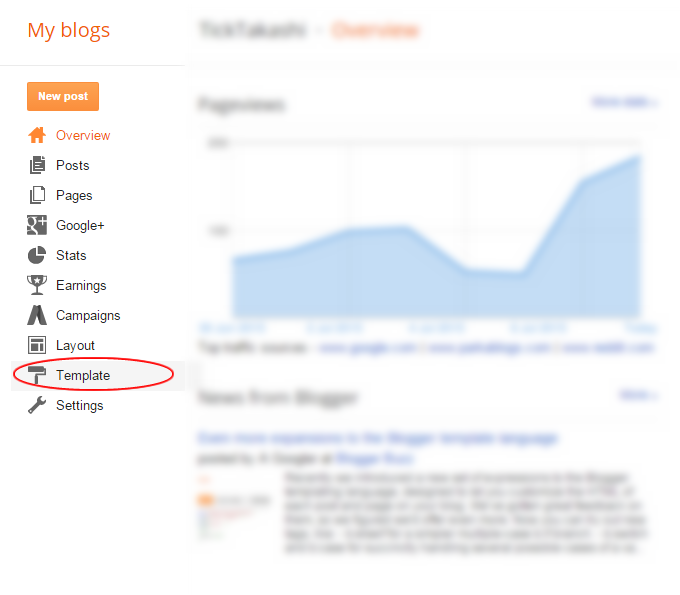 I'll assume that you have a blog already, so the first step is to visit the dashboard of your blog and click on the "Template" tab on the left-hand side. Alright. Here we have a nice blank canvas to work with. This guide assumes that you know at least a tiny bit of HTML and CSS, if you have no clue what those things are, don't panic. They are very simple, you can take a look at a site like w3schools to learn more. But wait, what are sections? and what is a skin? 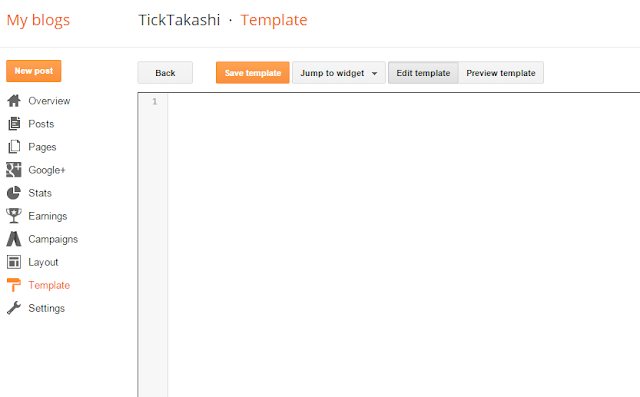 Before you can build a Blogger Template, you need to know how they are structured. 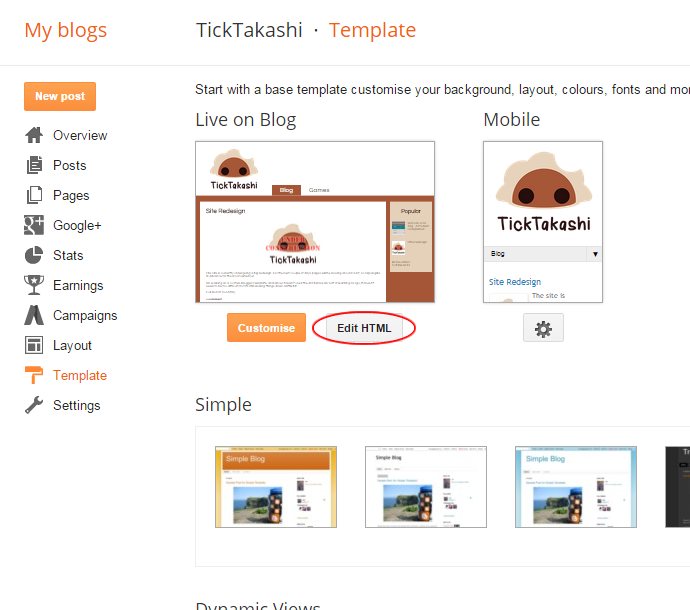 Blogger templates are made up of sections and widgets. These are layout containers, boxes that you arrange on the page which don't necessarily do anything except decide the shape of your template. 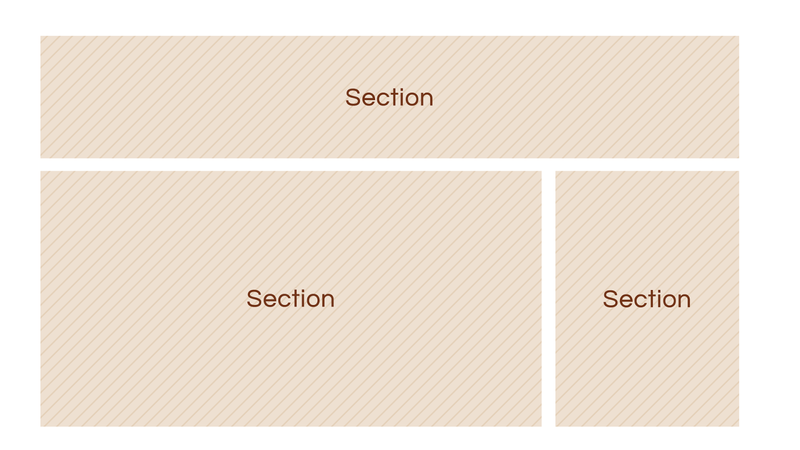 Sections are defined using <b:section> tags in HTML. They must always have a unique id. Header Widget, which can show the title of your blog and an image. Pages Widget, which can show links or tabs to different pages on your blog. Popular Posts Widget, which shows the most popular posts from your blog. Also, its important to know that the blog itself is a widget, not the whole page, but the bit where your posts show up in the main body of the page. You can also define your own widgets, but that's a little more complicated and best left to an intermediate tutorial. For now, all you need to know is that Widgets go inside Sections. Widgets are defined using <b:widget> tags in HTML. They must always have a unique id, and a type, which defines what the widget does, this is chosen from a list of ~13 widget types such as "Blog", "Navbar", Newsbar" etc. You will most often be adding widgets using Bloggers Layout Tool, so for now you wont have to worry about specifying widgets manually. These two make up the majority of the visible components you'll be dealing with on your page. But in order to customize the way they look, we need to use a skin. Here we've defined two skin variables: body.font and body.text.color, and referred to them in our CSS rules by using the $ operator. It allows us to refer to the same values across all of our CSS, making it easier to change things across the whole site. It allows us to expose style values in the Template Designer, more on that in a future post. All of this is a lot to digest, so don't worry about memorizing it all at once. For now, lets get back to building our template. We'll wrap up this post by adding an empty skin and an empty section to our Template, just to get it to save. Go ahead and save your template, you can visit your site to see what it looks like. Right now it's a little plain but, be patient, we're just getting started. See you in the next tutorial.